Tonight The Whisky Boys are tasting a wee Irish dram. You can check back to our tasting notes of it’s stable mate, The Green Spot. This is the welcome return of an old Irish favourite and has been recreated by the team at Midleton Distillery in Cork and was only launched within the past few weeks. 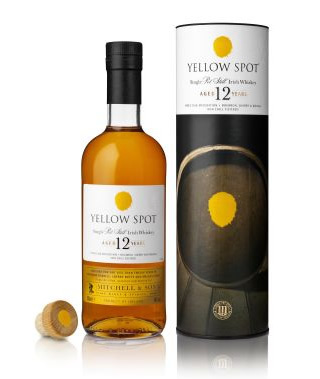 Nose…Sweet vanilla, mixed spices, sawmills cutting shed, runny honey and peaches. Taste...Quite creamy with loads of vanilla, apples, ground coffee beans citrus peel, very good quality chocolate, haystacks in Autumn. Finish…Medium finish, drying, the creaminess is delightful. Nose..Sun dried juicy fruits, varnish/lacquer, over ripe bananas, double cream, sherry and marzipan cake. Taste…Cola float, a ’99’ ice cream cone, Doctor Pepper soft drink , creme caramel. Finish…Short and sweet with a little spice lingering. A very nice Irish dram, if you get a chance to taste or indeed buy a bottle, then go for it as you will not be disappointed. You will be able to buy a bottle at your specialist Whisky shop or indeed online, the recommended price is around the £50.00 mark.